At Unific, we’re always listening to feedback from our customers and partners. This is how we prioritize what new products to build, and what features to add or improve on. In fact, many of our larger merchants are beginning to drive our product development.We’re always looking for new ways to help your business thrive, so when many of you come to us asking for a similar feature, it goes right to the top of our priority list. And we’re excited to tell you we’re about to launch one of your most requested features—the ability to send out Segmented Order Confirmations from HubSpot’s API. With the ability to segment your order confirmation emails, you now have the power to start sales conversations in one of the most widely read pieces of content your customer will ever get from you. Previously, HubSpot and Unific would only send a standard Order Confirmation email to those who shop at your your store, with no way to change the template based on the audience or different triggers ( type of product bought, type of customers, etc.). You told us this is a huge missed opportunity for engagement—and we agreed. Confirmation emails have an average of a 70% click-through rate, which is more than double what’s considered a great rate for other kinds of emails. This makes total sense. After all, everyone wants to know that their order went through without a hitch. 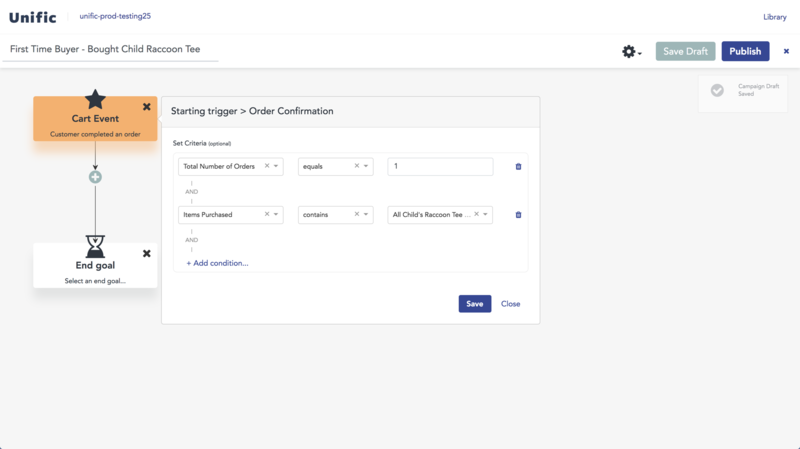 And with Segmented Order Confirmations, you can not only create customer specific order emails, but start entire sales funnels using what is likely the most viewed piece of email content you will ever send out. There are so many potential uses for this feature. First-time buyers can get completely different emails than Top Customers, encouraging different behaviors. 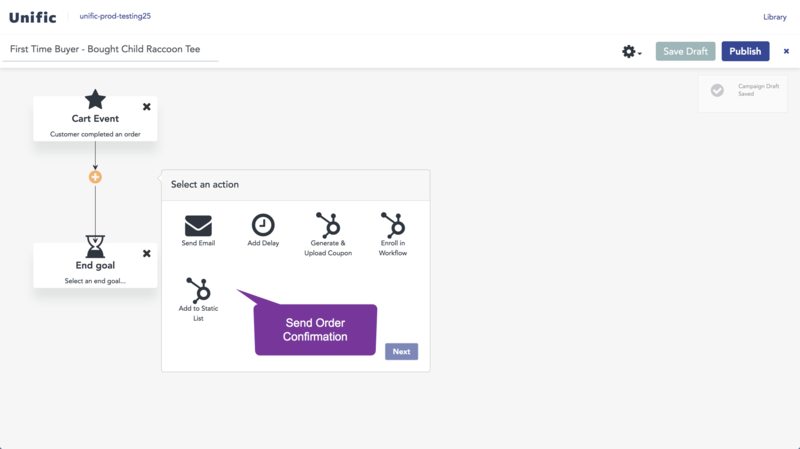 You can now easily create order confirmation and generate more revenue by cross-selling and up-selling on specific orders. So, how will this work? Easy. Once you’ve decided on your triggers, save your order confirmation campaign. Once you’ll do that, go to actions and you find a new option: SEND ORDER CONFIRMATION VIA HUBSPOT. After that, you click on that option, and select which template to send out to your customer. You can create a general template that could go to anyone who doesn’t match your specific criteria, and then specific templates around segments that matter to your business (product bought, total number of orders of the customers, cart value, etc.). After that, it’s all set up, and will begin firing on any customer that matches your custom criteria. All of the analytics from these emails will be right in HubSpot, with order confirmations easily seen in the timeline, and related stats available for use throughout the platform. We hope you find plenty of great ways to use this innovative new tool to improve your business. If you have any questions about best practices, or need help in your implementation, don’t hesitate to get in touch. Just click here to book some time with us.